2+2 channel DJ mixer loaded with pro features. At the heart of the mixer is the renowned analogue Voltage Control Filter (VCF) system offering Low-Pass and High-Pass filters, frequency sweep and ˜mild to wild™ resonance control. There is also an FX loop to connect to third party FX units, which route back in through the filter system. The main mix output and mic input are on professional standard balanced XLR', and there is a dedicated record output. 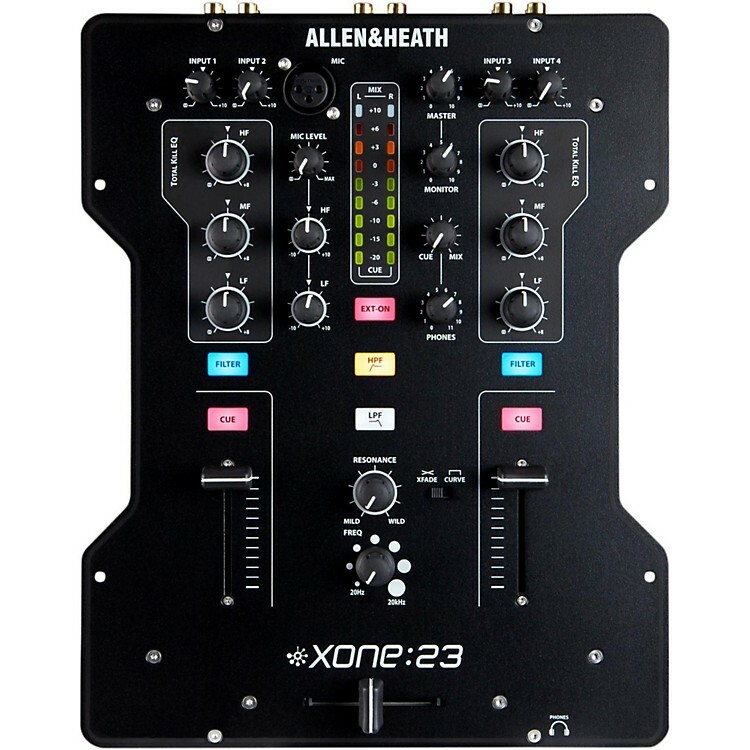 The Xone:23 is equipped with comprehensive monitoring facilities, including a booth output with its own volume control, a cue mix control, and signal levels clearly displayed on the 9 segment peak hold meters. High-performance mixers for dedicated DJs.